The Channel Islands will hold its first pan island Heritage Festival from 3rd April – 11th May 2015. The festival will celebrate the 70th anniversary of the islands' liberation from the occupying German forces during WWII. 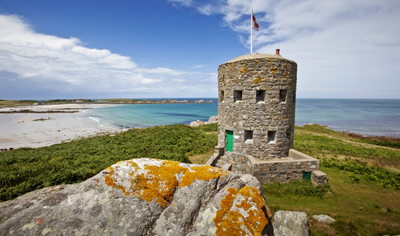 As the only part of the UK to be German occupied during WWII, the scar left on the islands is substantial with observation towers on the coastline, Nazi bunkers, underground tunnels and hospitals and hundreds of war relics now housed in the island museums. Throughout the five week festival there will be special openings of these historical sites, exclusive tours and occupation themed guided walks, culminating in Liberation Day on 9th May. The occupation trail maps out Jersey's many scars resulting from the occupation. This is due to Hitler demanding that the Channel Islands be turned into 'impregnable fortresses', resulting in an inordinate amount of tunnels, concrete bunkers and fortifications – all which can be visited on the island trail. The occupation trail can be downloaded from jersey.com. Guernsey's smaller neighbouring islands of Herm (20 minutes by ferry from Guernsey), Sark (50 minutes by ferry from Guernsey) and Alderney (15 minute flight from Guernsey) each have an occupation history of their own to tell with special events during the Heritage Festival. Join an archaeology team in Alderney from 3rd-4th Apriltoclear out and conserve some of the WWII fortifications (no cost), hear about Sark's liberation with a guided tour on 10th May (no cost) and learn about Herm's centuries old history with a guided walk on 13th or 20th April (£7.50 per person).